Founded by Norwegian farmers in the 1880s, the town of Silvana faced both the blessings and curses of a fertile floodplain. To cope with the frequent overflow of the Stillaguamish River, the houses and sidewalks were raised several feet above ground level. 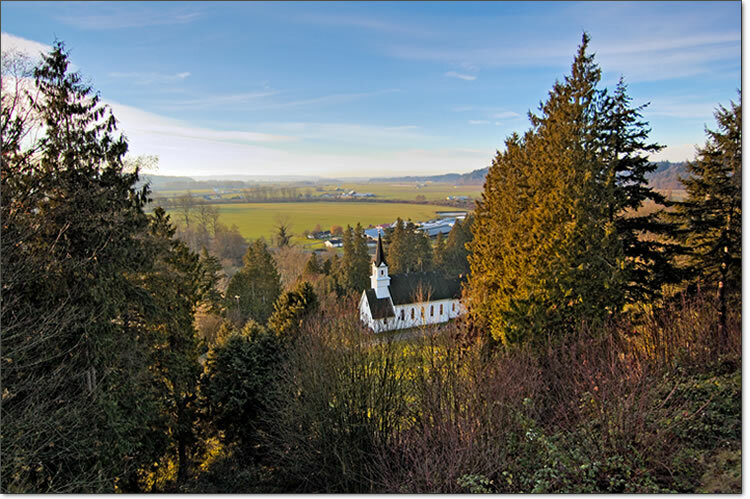 It’s little wonder that the congregants of Silvana Lutheran, led by their pastor Christian Jorgenson, elected to build their church on a hill.